A Parliamentary committee in Iran has blocked an attempt by security agencies to delay for a year a parliamentary vote on an amendment that could drastically reduce death penalty sentences for drug-related crimes. “Unfortunately, some security and government agencies wrote a letter requesting that the final vote be delayed for a year,” Hassan Norouzi, a member of Parliament and spokesman for the Legal and Judicial Affairs Committee, told the Shargh newspaper on June 13, 2017. “If (opponents) have something to say, they should say it on the parliamentary floor as government representatives and we will give our replies,” added Norouzi. Legislators were scheduled to deliberate an amendment to the Law Against Drug Trafficking on June 7, but the letter by the security authorities resulted in the final vote being delayed until mid-July, when members of Parliament (MPs) return from their summer break. “Those who wanted the vote to be postponed for a year argued that the committee had not worked hard enough on the amendment,” Norouzi told Shargh on June 7. Norouzi refused to identify any agencies by name, but the Iran Drug Control Headquarters (IDCH) has been a strong opponent of removing the death penalty as a punishment for low-level drug crimes. Earlier this year, the IDCH’s Legal Affairs director Ali Alizadeh said stopping the amendment from being ratified was a “top priority” and called on the judiciary to intervene. “Organized crime and drug enforcement experts believe if these unbalanced and unscientific reforms are implemented under the guise of human rights, society will be struck by a great wave of drug and other related crimes,” said Alizadeh on February 5, 2017. Proponents of limiting the death penalty have pointed out the political and social costs of maintaining one of the highest per-capita execution rates in the world. At least 567 people were executed in Iran in 2016, down 42 percent from the 977 who were in executed in 2015. “The majority of executions are for drug-trafficking crimes and the Western countries and international organizations are taking political advantage of (the situation),” said MP Ezatollah Yousefian, in a parliamentary debate on November 23, 2016. 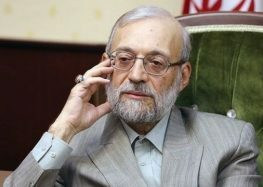 A staunch opponent of limiting executions, Judiciary Chief Sadegh Larijani has advocated for the death penalty to be carried out at a faster pace. However, some hardliners have begun admitting that the death penalty has failed as a preventative measure against drug trafficking.